Anika Aarons, Ph.D. student, Louisiana State University. Anita Arenas, undergraduate senior, California State University Long Beach. · Katie Blaha-Robinson, master’s student, University of San Diego. · Jade Blennau, undergraduate senior, Stony Brook University. · Anjali Boyd, undergraduate junior, Eckerd College. · James deMayo, Ph.D., student, University of Connecticut. · Amelie Jensen, master’s student, University of the Virgin Islands. · Katherine Longmire, master’s student, Virginia Institute of Marine Science. · Mario Marquez, Ph.D. student, Florida A&M University. · Ryan Parker, master’s student, University of South Alabama. · Johnny Quispe, Ph.D. student, Rutgers University. Through joint support of both students and mentors, this program aims to enhance career development of URM students, ensure that students participating in the program will have sustained mentorship following the conference, help develop a community of practice for CERF members who are engaged in building diversity and inclusion within their own organizations and across institutions, and involve those who are already mentors of URM students in helping to transform CERF into a broadly inclusive society. In addition to the full suite of scientific sessions and other conference activities, students and their mentors participated in a workshop with expert panelists and key CERF members and partners who are leaders in diversity, with the goal of inspiring and motivating URM students to pursue career pathways in coastal and estuarine science. Diversity, inclusion, and equity themes were infused throughout the regular conference programming for the benefit of all attendees. 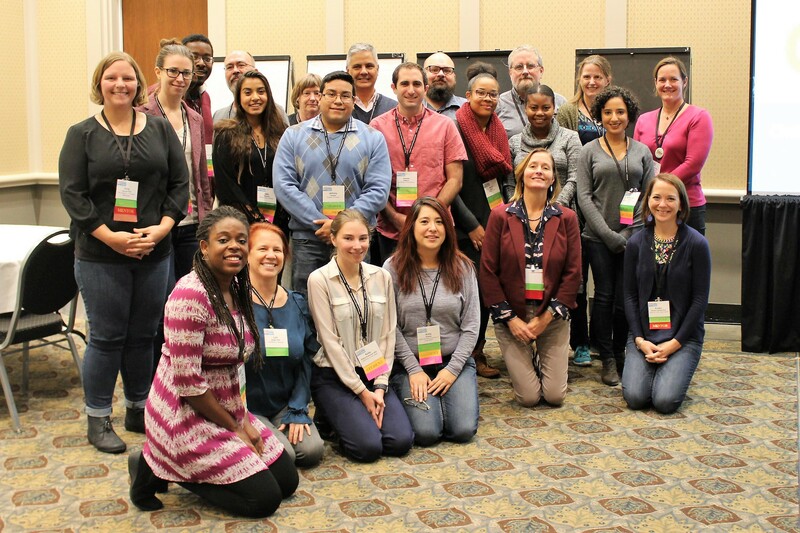 The Rising TIDES Conference Mentoring Program is part of a comprehensive new initiative to enhance diversity and inclusion in CERF and coastal and estuarine sciences. This initiative is led by the CERF Broadening Participation Council, chaired by Treda Grayson ([email protected]). Learn more about Rising TIDES: www.cerf.science/risingtides. View more information about the 2017 Rising TIDES Conference Mentoring Program.